Adapter plate for mounting a LUNT LS100FHa front-filter at a telescope with 201mm to 225mm front outer diameter. 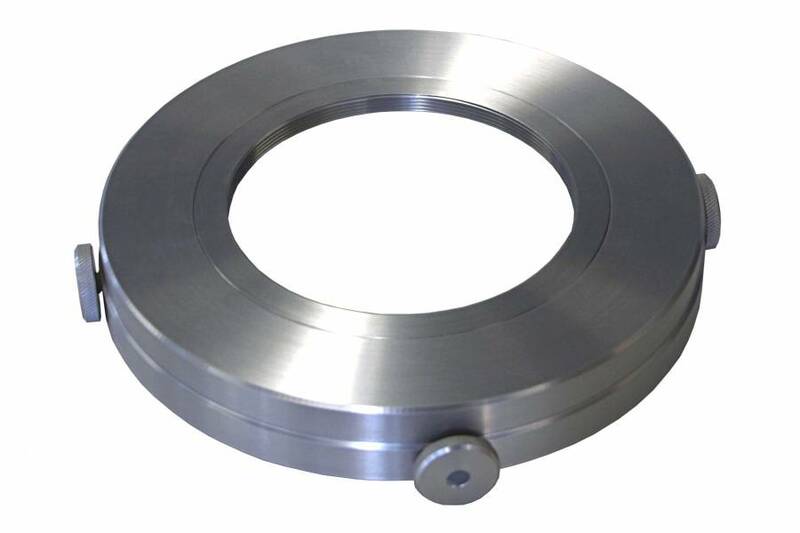 With this adapter you can mount a LS100FHa at your existing astronomical telescope with 201mm to 225mm outer diameter, in order to use this telescope for solar observing in H-alpha. The adapter is plugged onto the front of your telescope, and the filter can be screwed onto the adapter. This article no. 0557447 gives only the price for a complete range of different adapter-plates of 201mm to 225mm diameter. The real adapter-plate will be manufactured exactly for your telescope. Therefore we need the exact outside diameter of your telescope or the dew shield!